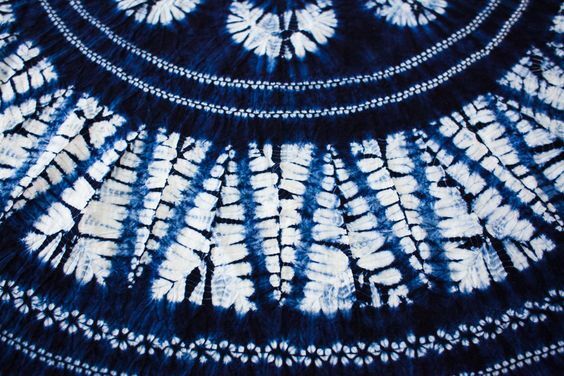 Take a look at this beautiful handmade shibori fabric from the Yunnan Province in China. See more details on These Days of LA, California. See more examples of outstanding shibori here on my Pinterest board. Wow! This fabric just takes my breath away. Me too. I love it. I'd like to fussy cut it for a quilt. I have a piece of blue & white I bought in Yunan about 10 years ago. I haven't wanted to cut it. I am a dye-hard (pun intended) fan of anything blue and white... indigo and white. These fabrics are utterly gorgeous. I had never heard of them before. Thank you for bringing this to our attention!